Kenya and Tanzania are the world’s second and third largest producers of sisal, Agave sisalana, with a number of large plantation estates and processing factories. From the sisal plant biomass, only 2% is utilized in the sisal production process while 98% of it is considered waste and thus the sector is considered one of the highest waste producers. The sisal sector generates 20 million tonnes of wastewater, 5 million tonnes of solid decertification waste and 4-8 million tonnes of post harvest sisal boles across Eastern Africa. These wastes are mostly underutilized, untreated and in most cases disposed by burning or dumping, emitting green house gases (GHC) that contribute to climate change. Liquid waste from sisal production can also introduce excess nutrients to water sources, which create unsuitable conditions for water life. Despite being a menace to the environment, sisal wastes represent a potential bio-resource for production of value added products such as food in the form of mushrooms, livestock feed, bio-energy, bio-fertilizers and other bio-based products. 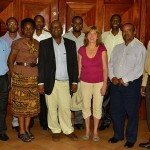 In Kenya and Tanzania, the Bio-Innovate Africa program is supporting scientists from the University of Dar es Salaam and Pwani University in Kilifi, Kenya to demonstrate mushroom growing and biogas generation using sisal boles (post harvest dry portion) and sisal decertification waste generated after fibre is removed from the leaf. The pilot project in Tanzania is being done at the Alavi sisal estate, in the Pwani region, some 60 kilometres from the capital Dar es Salaam. Mohamed Enterprises Limited owns the Alavi sisal estate, and is one of the industrial partners in the sisal waste project. 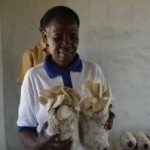 The scientists have successfully demonstrated production of one tonne of mushroom per season (of three months) from four tonnes of sisal boles. 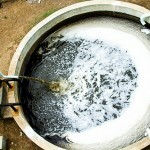 The waste that results after growing the mushroom, also referred to as spent substrate, is mixed with other locally available bio-materials to generate 10,000 litres of high quality biogas per day with a methane content of 68% that is capable of starting the biogas generator and lighting up the facility for nine hours. 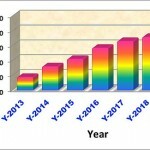 If done to full scale, it has potential to produce enough energy to power the heavy machines at the factory. The mushrooms are sold to Uyoga Limited (TZ) where they are dried or sold fresh, processed into mushroom cookies, mushroom spaghetti and mushroom soup. The local price for mushrooms in the nearby city of Dar es Salaam is 4 USD per kilogram. Mushrooms from the project site in Kenya has been certified by the Kenya Bureau of Standards, KEBS – permit No. 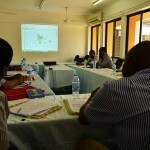 SM#20218 of 2014, while that of Tanzania did not require certification from Tanzania Food and Drug Authority. “These piloted innovations are demonstrations to the rest of the industry on ways they can manage their sisal waste, reduce wastage of bio-resources, save on power costs and provide additional revenue streams that would make waste management efficient and profitable,” Says Prof. Amelia Kivaisi the project lead for the biogas and mushroom component. In addition to mushrooms and biogas, the trial sites are producing liquid bio-fertilizer generated during biogas production. At the site the scientists have demonstration plots where they are testing the quality of the bio-fertilizer on vegetables. “From our tests here, this liquid bio-fertilizer has high fertilizer value and produces remarkable yields,” Says Prof. Anthony Manoni Mshandete, of the University of Dar es Salaam. “Moreover, this liquid fertilizer can be applied once to serve two consecutive seasons, unlike commercial fertilizers,” He adds. Sustainable utilization of agro-industrial waste: How a Bio-Innovate funded project is generating bio-energy and mushrooms from agro-industrial waste.